On-Rail Racks are made to both safely store your surfboard and also display your surfboard deck or hull. This surfboard wall rack provides convenient surfboard storage for two (2) surfboards in a compact design. This rack is angled at a 45 degree angle to accommodate deep fin clearance and also keep the board as close to the wall as possible. This rack is available in 1, 2, and 3 board versions to accommodate your board quiver. 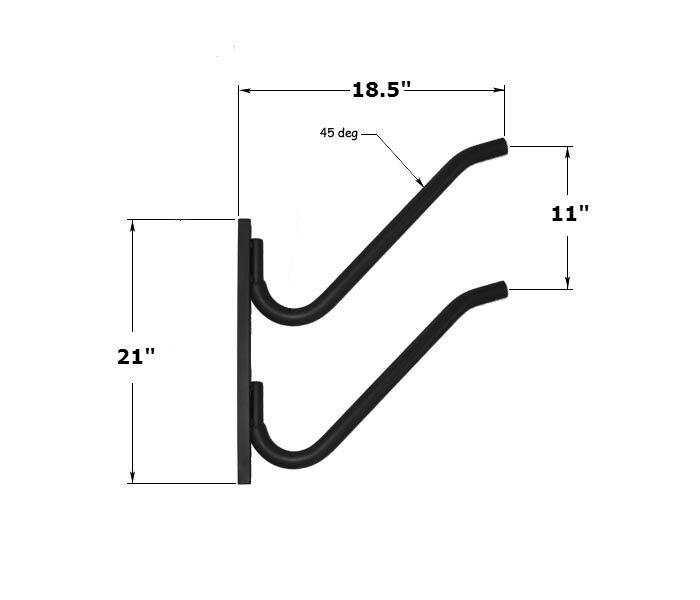 Does each order come with one vertical rack, or do i have to order 2 (like your picture shows) so they can hold both of my boards? 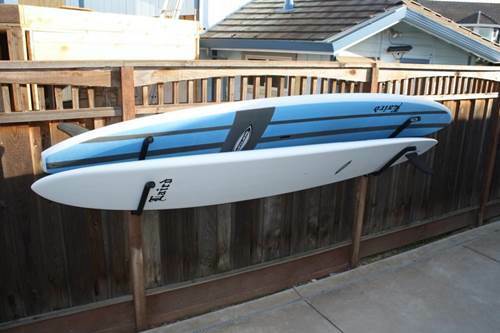 This is a double rack - it can hold two surfboards, and comes complete for both! You only need to order one, to hold both of your boards. Purchased a set for storing my 9'0 rad nose rider and my 8'0 secretweapon. My garage is cramped and does not allow for over head rack space. These worked out well to allow me to store two boards and still have room to walk around the car. I store my borads in day bags so I end up having to put the fins at opposite ends, or one up, one down, for things to fit well when in the bags. Will definitely expand the set when i move next year. The racks seems firm and are holding two big boards.